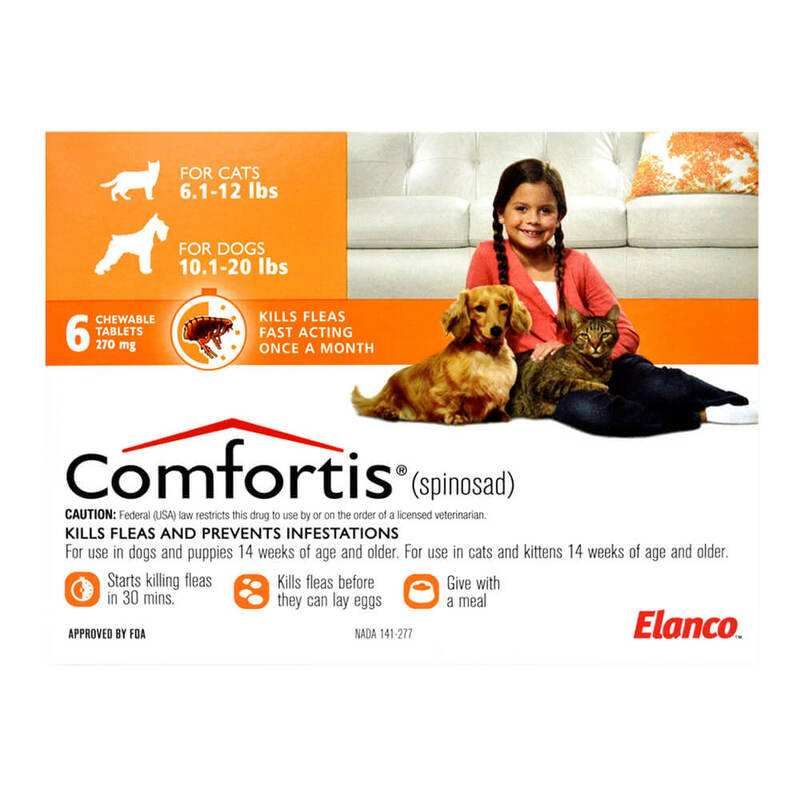 Comfortis is a new and unique way to defend your cat or dog against fleas. Protection comes in the form of an easy-to-give, beef-flavored tablet that starts killing fleas within 30 minutes and keeps them from laying eggs. Your pet is safeguarded for a full 30 days. Unlike topical flea treatments, Comfortis isn't messy. It won't leave a staining residue on your pet's fur, and there's no isolation period for your pet while the spot-on fluid dries, so you can play with your pet immediately after administration. 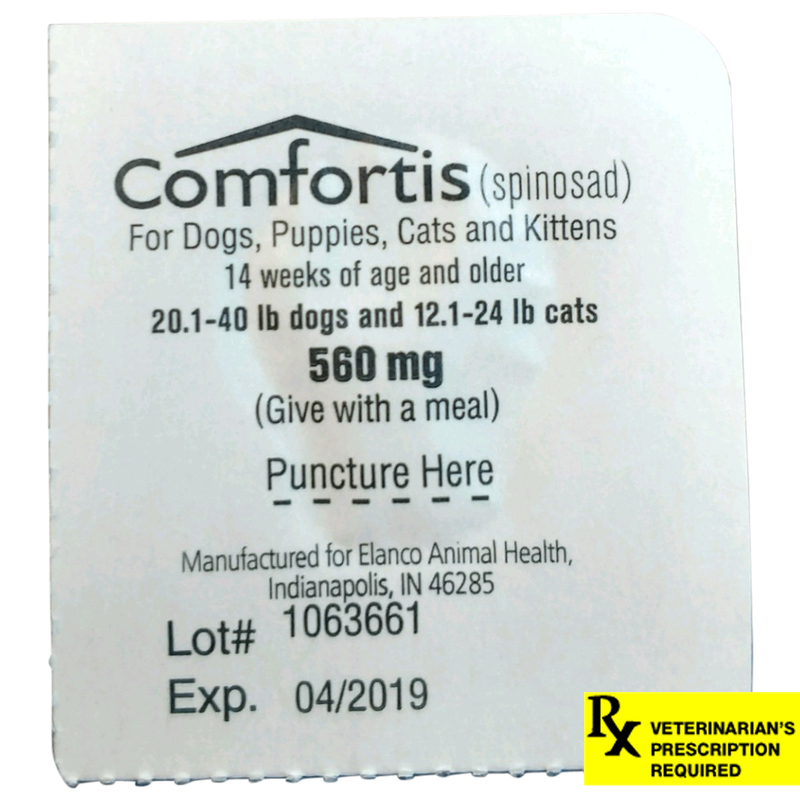 Comfortis is safe for dogs 3.3 pounds or more; cats 2 pounds or more; and puppies and kittens 14 weeks or older. 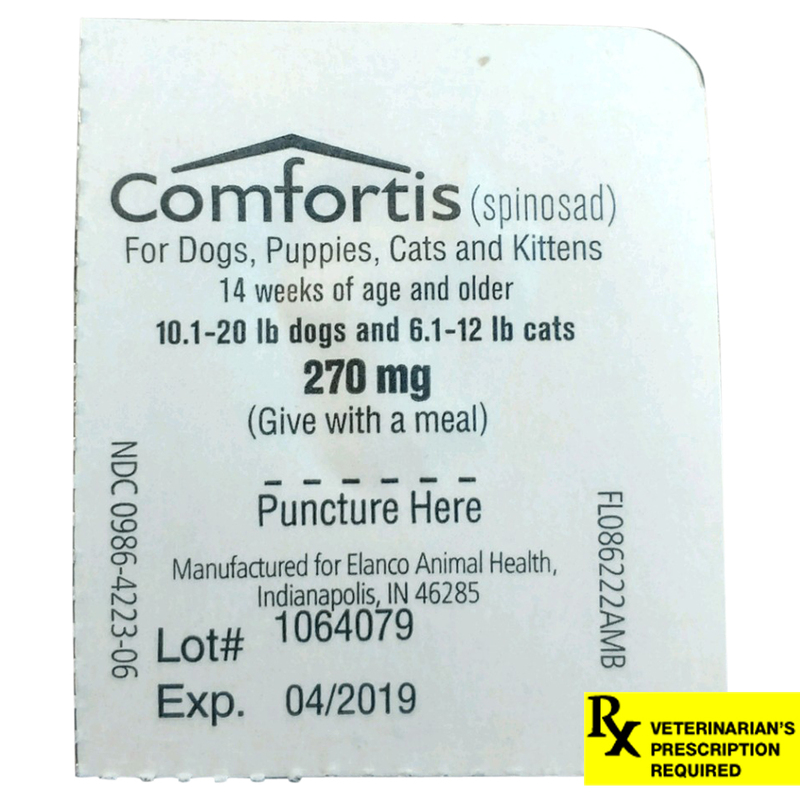 Comfortis for Dogs & Cats requires a prescription from your veterinarian. *Cats over 24 lbs should be administered the appropriate combination of tablets. ** Dogs over 120 lbs should be administered the appropriate combination of tablets. Administer COMFORTIS® with food for maximum effectiveness. 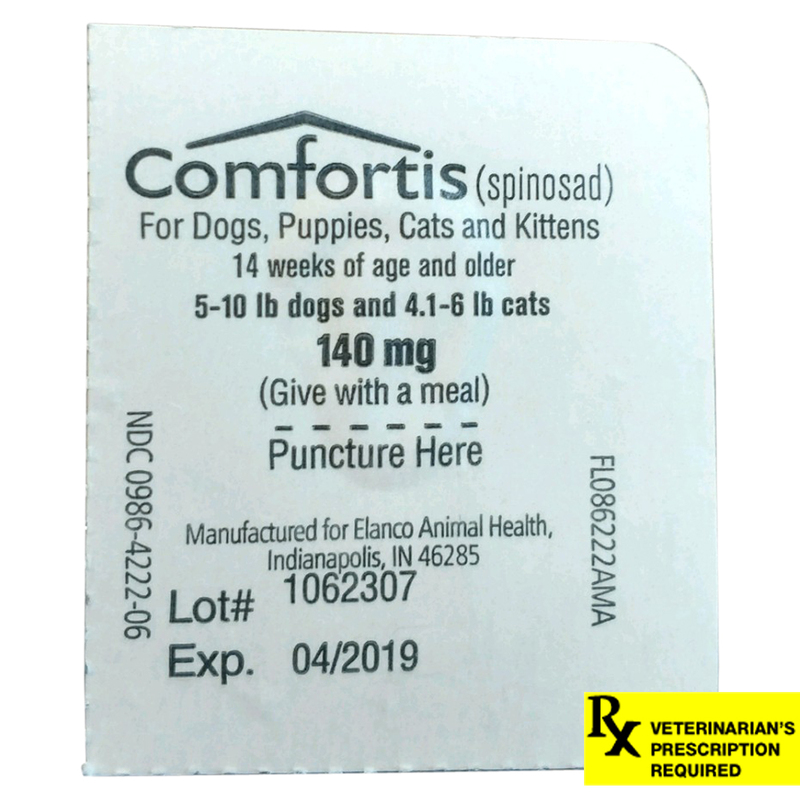 COMFORTIS® is a chewable tablet that can be consumed when offered by the owner just prior to or after feeding. Alternatively, COMFORTIS® may be offered in food or administered like other tablet medications. COMFORTIS® should be administered at monthly intervals. If vomiting occurs within an hour of administration, redose with another full dose. If a dose is missed, administer COMFORTIS® with food and resume a monthly dosing schedule. 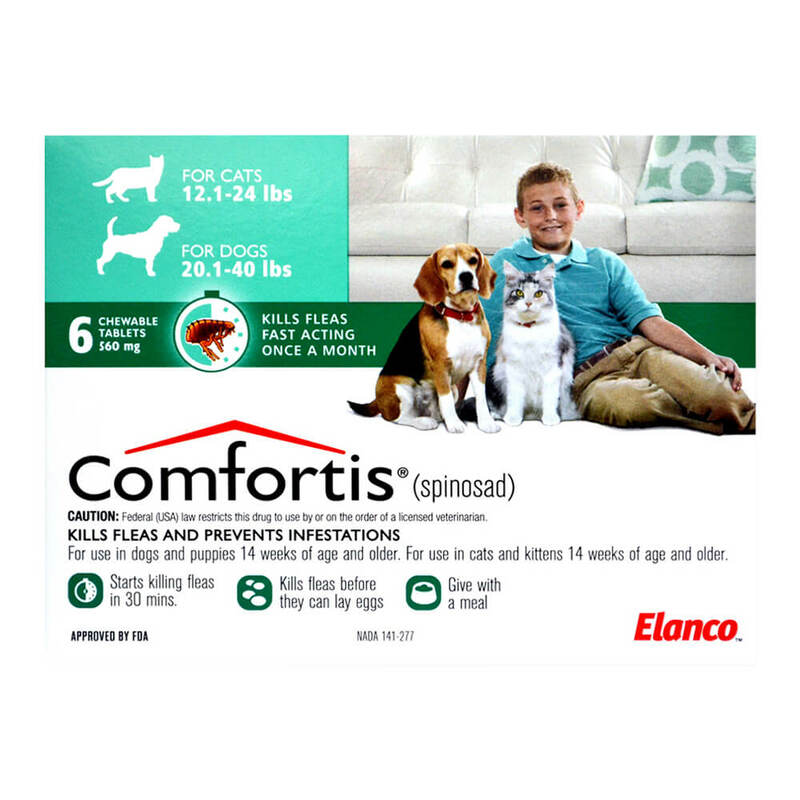 Treatment with COMFORTIS® may begin at any time of the year, preferably starting one month before fleas become active and continuing monthly through the end of flea season. In areas where fleas are common year-round, monthly treatment with COMFORTIS® should continue the entire year without interruption. Storage Conditions: Store at 20-25°C (68-77°F), excursions permitted between 15 to 30°C (59 to 86°F). 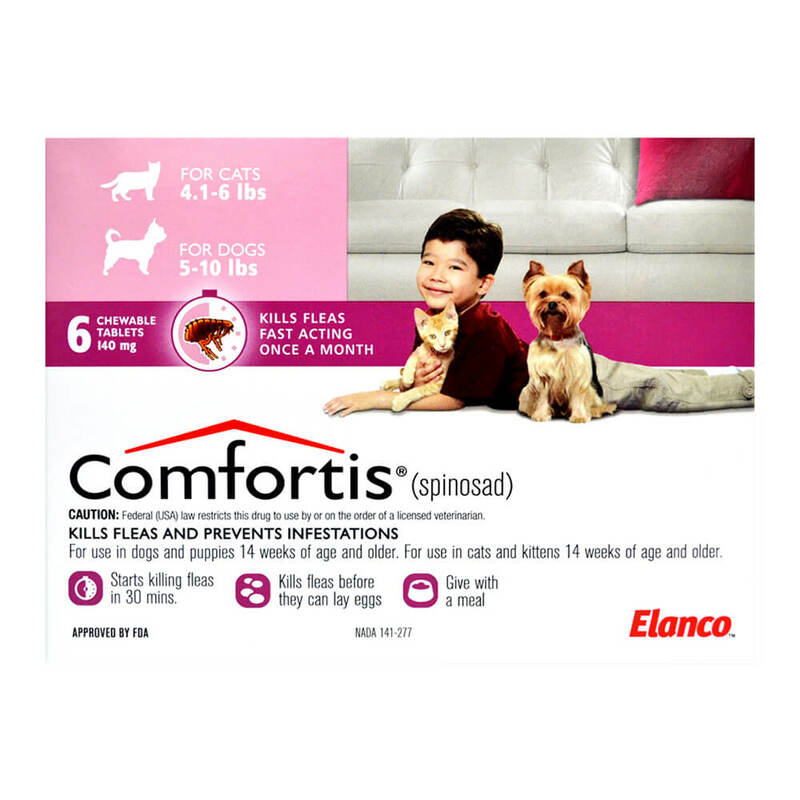 The safe use of COMFORTIS® in breeding, pregnant, or lactating dogs and cats has not been evaluated.